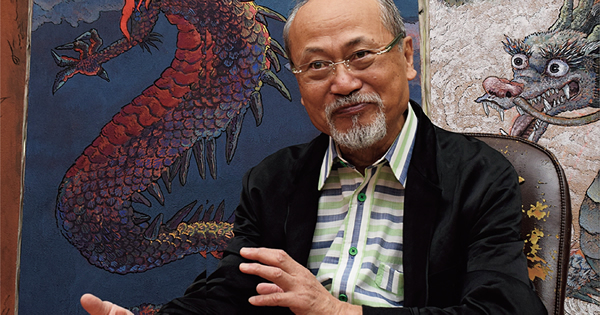 A big exhibition of the painter Koji Kinutani will take place this summer in National Museum of Modern Art, Kyoto. Along with important works spanning the artist's career and never-before-shown works on the theme of Kyoto, this exhibition"A Journey of Color and Imagery" presents the entire scope of Kinutani's manifold practice. Establishing a unique style with colorful and highly energetic fresco works, Kinutani passionately talks about the message in his artworks and his feelings for the exhibition. Your exhibition at the National Museum of Modern Art, Kyoto (MoMAK) is titled "A Journey of Color and Imagery." Isn't this pre- cisely the theme you have pursued in your art? Exactly. In regards of "color", during my time as student at the Tokyo University of the Arts, I had always painted mono- chromatic works. However, when I was studying in Venice, I walked out of Santa Lucia Railway Station and encountered an eye-opening world. The bright colors of the Venetian townscape and the Mediterranean Sea opened up my heart. At the same time, however, I realized that I have seen this scene before. I thought harder and remembered that my hometown Nara used to be such a place in the past. Nara has a subdued atmosphere of quiet simplicity today. But back in the time when Nara was the capital of Japan, it was a colorful, open place just as it was praised in a famous poem: "As flowers in bloom glow in beauty and fragrance, the capital at Nara is now at the height of its splendor. "* Nara was a cosmopolitan city where people from Iran, Iraq, China, and Korea came and exchanged cultures. In Venice, I had unexpectedly found my roots in Nara. The Japanese people, being originally maritime people, had a brighter character. Three-hundred-years of military regime under the Tokugawa government had suppressed such brightness. The influence continues to today. In an environment where colors are limited, a follow-the-crowd mentality grows. For instance, if everyone wears khaki, killing people can become easy all of the sudden. In natural environments such as deserts and the deep sea, the diversity of animals become limited. A colorful place is a place of life and peace. I would like to bring back the real color of Japan so that the Japanese people can be who we truly are. On the other hand, the world of "imagery" - which we can also refer to as dream, fantasy, or imagination - is an untouchable world that only lives within one's heart. I believe the power of imagination is one of the most important senses we possess. The reason is because images cannot be quantified into numbers. After the Industrial Revolution, people have pursued numbers and matters causing wars all over the globe. The world became heavily reliant on materials and the "untouchable" world of "imagery" became impoverished. We must change this world. Japan and the Japanese people should cultivate our uniqueness and put each of our "imageries" into life. I believe that that will broaden our world. As a painter, I have tried to express this idea through my works. So your intention is to wake up the viewer's power to live and create through your world of"color"and"imagery"? That is what I hope for. My paintings will survive long after I die. I hope to communicate with the children in the future through my works by showing them that such world of imagery exists. I hope to think not just about the present that I live in, but also about the past when I did not exist, and the future when I will no longer exist. However far technology advances, I believe that there is something inside us that will never change from the time when we painted on cave walls in Altamira. Our DNA is connected and passed on through the ages of cave paintings and fresco. I think that we can find new concepts in the forgotten past. Artists such as Picasso and Matisse feared the future of modernism that had started with the Industrial Revolution, and with the slogan "Return to ancient times" "Return to Nature", they discovered primitive art in Africa. Without forgetting the feeling of going forward, I too would like to show in my works that there is a world that never changes. At the same time, I want to show that conflicting concepts like war and peace, men and women, water and oil are all part of one thing. For instance, Michelangelo's famous painting on the ceiling of the Sistine Chapel depicts both heaven and hell. Heaven and hell are both "part" of the same painting. In times of peace, we must think of the tragedies of war, and in times of sorrow we must remember the brighter world. In the hell fire of massive killing in today's world, there is still the image of "Buddha" that extends his hand towards us. I would like to show in my paintings that conflicting things don't exist in different worlds but are merely parts of the same thing. I think one of the biggest features of your works is the praise of life. Where does your attachment to the theme of life come from? It may be because I was very weak as a child. I almost died from tuberculosis and pleurisy and had also almost drowned in a reservoir once. I truly believe that I was saved by the dragon god. I have had dangerous experiences since then too so I really feel like I am being "kept alive" now. You are now preparing for the "Koji Kinutani - Journey of Color and Imagery" at the National Museum of Modern Art in Kyoto in which you will present your entire career. What are your feelings for this exhibition? I feel honored to be able to have my exhibition in Kyoto which is close to my hometown Nara. Because I will exhibit many pieces that features sceneries of Kyoto such as Fushimi Inari Shrine, Kinkaku-ji Temple, Byodoin Temple, Kamigamo Shrine, Konkai Komyo-ji Temple, I first thought of calling the exhibition "Koji Kinutani paints Kyoto." But in the end, I decided to use the title, "Journey of Color and Imagery." As well as new pieces, important works from my early days up to today will be on exhibition. I would be grateful if people will enjoy this exhibition along with the Koji Kinutani Tenku Art Museum in Osaka. 1. A collaboration work by Koji Kinutani and nihonga artist Kanako Kinutani, his daughter, will also be exhibited. A documentary TV program about their creating process will be on air this September on NHK BS Channel. 2. MoMAK's collection of portraitures by Yasui Sotaro, the master painter, will be exhibited alongside works of Kinutani as special exhibition. 3. In conjunction with this Exhibition, Tenku Art Museum will hold a Special exhibition where his early fresco City of Radiant Light will be exhibited for the first time. 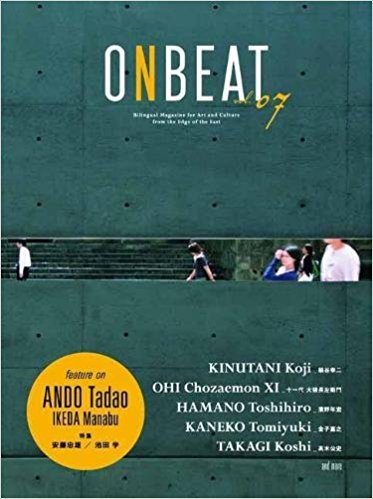 The ONBEAT magazine and its website will introduce various arts and cultures all around the world as well as Japanese art and culture to the world. © koji kinutani. All Rights Reserved.